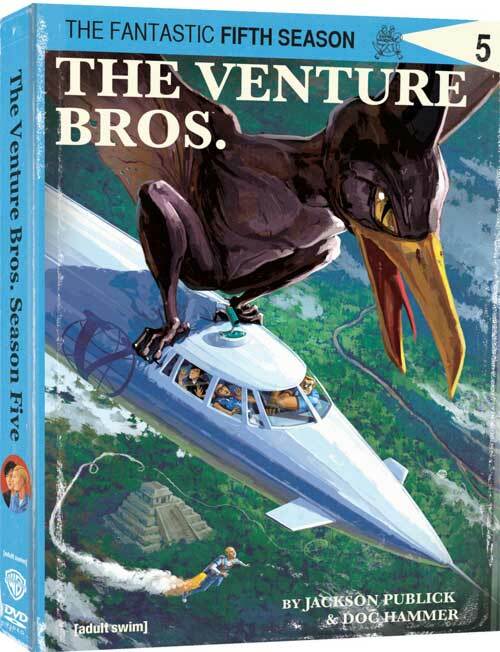 Season Five of The Venture Bros is out now on DVD and Blu-ray. The release feature all eight episodes from its fifth season, (one of which is a double episode), plus the bonus episodes “A Very Venture Halloween” and “From the Ladle to the Grave: The Shallow Gravy Story.” You’ll also find deleted scenes and episode commentaries from creator / director Jackson Publick and fellow writer, director and executive producer Doc Hammer. JG Thirlwell is particularly proud of the scores he created for the show on season five, so keep your ears open as well as your eyeballs peeled.